Ton Dinh, the owner and operator of International Imports, a Saab repair and sales shop, has a long history of working on Saabs. It began decades ago when he worked as a mechanic for BSR, Charlottesville’s original Saab franchise dealership. Following Brown’s purchase of the franchise, Ton opened his own repair facility near Moore’s Creek. Working either outside or in a building with a leaking roof, he continued to expand his client base and expertise, hoping one day to purchase land on which to build his own shop. In 2004, he received his dealer’s license and opened International Imports at 1201 Harris St., Charlottesville, VA. For a town of its size, Charlottesville has a very large number of Saab owners, and Ton’s customer base continued to grow, largely by word of mouth. In addition to stocking a sizable inventory of new parts, International Imports has a collection of used parts for those customers who either need to spend less or don’t want to purchase new parts on a 30 year old vehicle. Likewise, if your car has been damaged in an accident, we often have the parts needed to do your bodywork, including painting. Because of Ton’s long familiarity with Saab and the various vendors of Saab parts, International Imports is very competitive in its pricing, especially for an import specialty shop. We often beat the price of non-specialty shops. For those looking to purchase a used Saab, International Imports has a large collection of 900’s, 9000’s, 9-3’s, and 9-5’s, including sedans, hatchbacks, wagons, and convertibles. We also occasionally carry other brands of used vehicles. 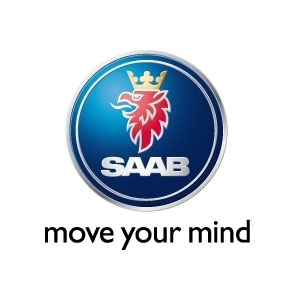 At International Imports we have been providing pre-owned Saabs to Virginia car buyers since 2001 and are an official Saab service center. If you have a Saab that needs service, or are in the market for a used Saab, come by International Imports at 1201 Harris St., Charlottesville, VA, 22903.